Afrofest, a free celebration of the richness and diversity of African culture, is set for Queen’s Park in Toronto on Saturday July 9th and Sunday July 10th. Featuring world-renowned African musicians and top African groups based in Canada, an African marketplace, food and craft vendors, artistic displays, music workshops, and organized activities for youth and children. Afrofest is THE cultural event of the summer. African music legend Thomas Mapfumo, with his band The Blacks Unlimited, will be a feature act of Afrofest 2011. "The Lion of Zimbabwe" is considered both the Bob Dylan and the Bob Marley of Southern Africa for the immense impact his songs and life example have made on the music and culture of his homeland. The "Chimurenga" music he created was the soundtrack of the revolution in Zimbabwe. A titan of African recording, Mapfumo, with more than 20 albums of outstanding original music to his name, has been performing his songs of love, freedom and justice for more than 40 years. Thomas Mapfumo will also be performing an ‘Afterfest’ concert at the Lula Lounge, 1585 Dundas Street West, on Monday, July 11. Admission is $20 at the door, $15 in advance – Tickets available at Afrofest and other locations to be announced. 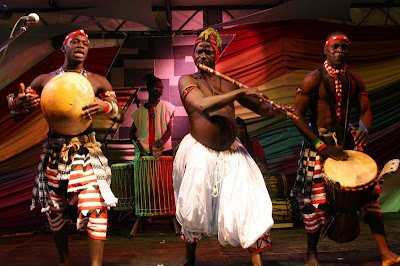 South Africa’s Dizu Plaatjies and Ibuyambo will make their Canadian debut performance at Afrofest 2011. Dizu led his band Amampondo in wowing the crowd at Nelson Mandela’s famous birthday concert at Wembley Stadium in 1988. They were later made official ambassadors of South African music, and their 2000 show at Afrofest stands as one of the festival’s finest ever performances. A startingly original act, not to be missed! The Afrofest headliners will be supported by some of the top African groups based in Canada, including JP Buse (Zaire), Femi Abosede & Culture Force (Nigeria), Zekuhl (Cameroon), Ruth Mathiang (Sudan), Ijo Vudu (Nigeria), Soukous Tchatcho (Congo), The Tich Maredza Band (Zimbabwe), Anastasio & Zalang (Equatorial Guinea), Amoudou (Guinea), Beyond Sound (various Africa), Justine CanAfric (Ivory Coast) and Symphonix (Trinidad). AFROFEST is the most prominent event organized by Music Africa; indeed it is the largest annual African music event in Canada. It is also the largest FREE African music festival in North America. It takes place in Queen’s Park, in the heart of downtown Toronto over an entire weekend in July. This fun-filled extravaganza features music, dance, interactive workshops, theatre, poetry, mouth-watering food, a large bustling marketplace, and activities that cater specifically to children and youth. As the largest annual gathering place for African immigrant and diaspora communities, especially those based in Ontario, Afrofest is truly a community-based festival. AFROFEST features both traditional and modern forms of African music. 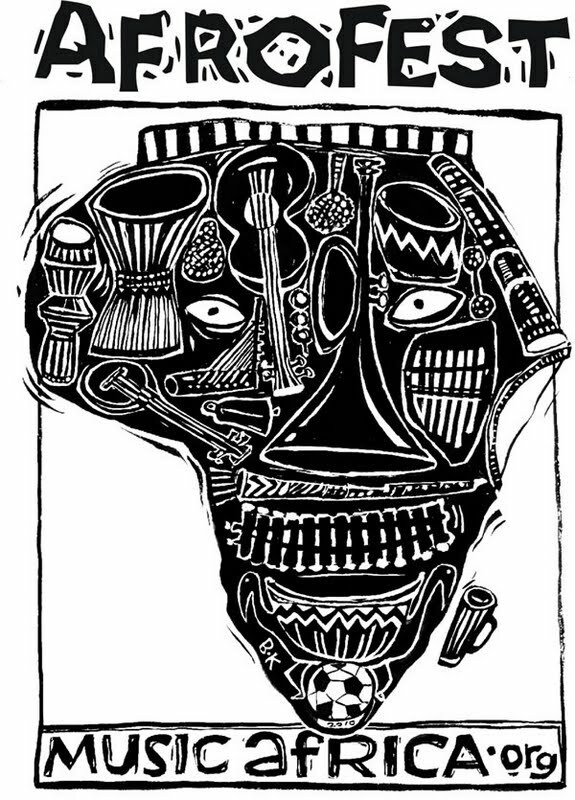 Artists here perform in a number of African languages, as well as French and English to represent more closely the diversity found both within Africa and Toronto. All told, there are often more than 30 live performances from artists from all over the African continent on 3 distinct stages, including the Main Stage, Drum Stage and Baobab Youth Stage. Discover Africa in the Heart of Toronto!